The legend of Donald Young is that it all started when a 10-year-old ball boy at a senior tennis tournament in Chicago asked John McEnroe if he would hit tennis balls for a few minutes. McEnroe agreed. They hit, and McEnroe was so shocked at how good the kid was that he went straight to his cell phone, called his agent at IMG and told him to sign Young. What a story! It tells of a selfless legend, but even more so offers hope that we might be discovered someday, or our children might be. Also, it suggests that Average Joes walking the streets might have greatness. Count me as a former believer of that story. Now, I’m hearing the story debunked, that maybe IMG had already spotted Young, a marketing dream. Young was a good-looking black kid from a huge inner city, a city with loads of potential corporate sponsors, playing a traditionally white, suburban sport. Could he be the men’s version of the Williams’ sisters? And maybe IMG asked McEnroe to hit with Young, staging the whole legend. 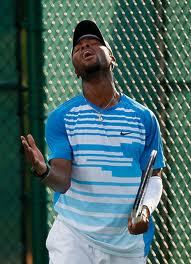 Donald Young has had enough staging, enough agents, enough John McEnroe. 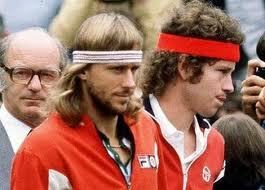 Way more than enough John McEnroe.